From its snow-covered peaks to its glistening cobalt waters, Lake Tahoe breathes of romance all year long. 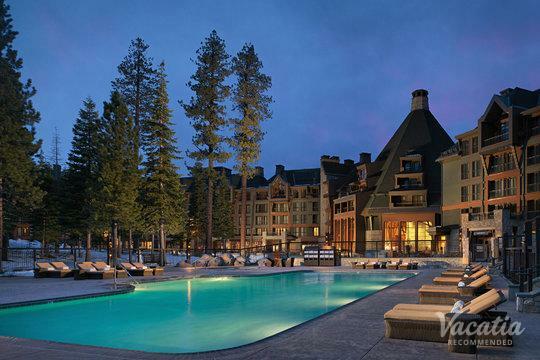 This picturesque alpine destination is the perfect spot for a romantic getaway, which is why you and your significant other should begin planning your Lake Tahoe getaway as soon as possible. If you have been craving some fresh mountain air, gorgeous natural vistas, and inescapable romance, there's no better place to visit than Lake Tahoe. To ensure that your Lake Tahoe retreat is full of romance and luxury, work with Vacatia to find the best vacation rental for your stay. 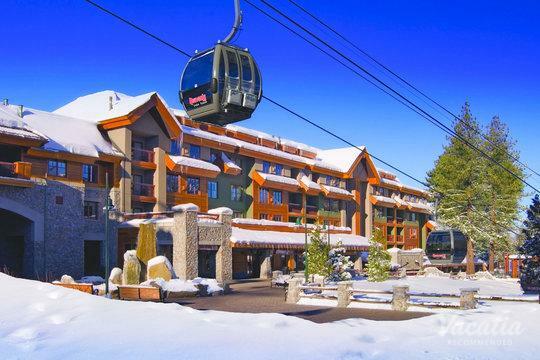 There are a number of romantic resorts in Lake Tahoe, and Vacatia can help you sift through this selection so that you find a rental that meets all of your qualifications. Vacatia strives to help travelers find the best accommodations possible, which means that Vacatia can help you find a high-quality resort that will enhance the romance of your trip. So grab your significant other and head to the Sierra Nevada Mountains, where you're sure to have an unforgettable, romantic getaway thanks to Vacatia. Planning a romantic getaway shouldn't be stressful, but all too often planning a trip becomes overwhelming. Fortunately, Vacatia simplifies the trip planning process so that you can spend less time hassling with travel details and more time daydreaming about your romantic lake getaway. Not only can Vacatia help you find a rental property that ticks all of your boxes, but Vacatia also ensures that you will enjoy both the comforts of home and the luxuries of vacation. Every Vacatia rental property features added living areas, such as a fully equipped kitchen, as well as the services and amenities of a resort, which is why Vacatia's properties are considered "resort residences." If you want to enhance the romance of your mountain getaway, there's no better place to stay than at one of Vacatia's resort residences. 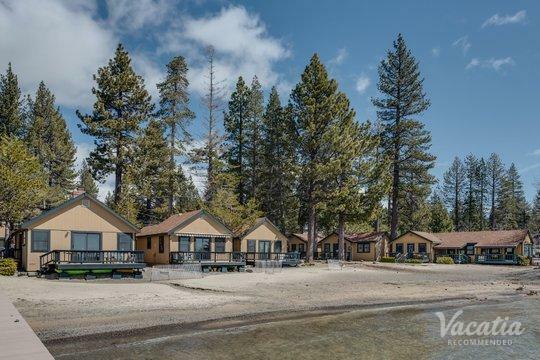 Your Vacatia rental will quickly become your beloved home away from home in Tahoe, so you can explore all that the lake and the mountains have to offer during your romantic retreat. 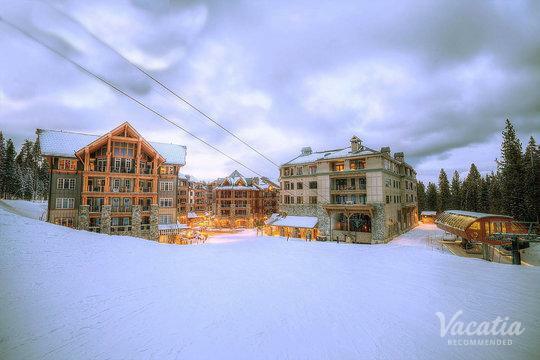 So be sure to work with Vacatia if you want to stay at one of the best romantic resorts Tahoe has to offer. Lake Tahoe is the largest alpine lake in North America, as well as the second deepest lake in the U.S. This popular lake straddles Nevada and California, and it provides plenty of great outdoor recreation for visitors. During the summer months, visitors enjoy great hiking, boating, swimming, and basking in the beautiful mountain sunshine. During the winter, Tahoe becomes a haven for skiers and snowboarders, as there is plenty of world-class skiing in the Sierra Nevada Mountains. In addition to its outdoor activities, Lake Tahoe is home to a number of charming, fun-filled towns, where you can always find something to excite and entertain you. So if you and your significant other want to escape to a beautiful natural paradise, make sure to work with Vacatia to plan the perfect Lake Tahoe getaway.